Join the Office of Graduate and Postdoctoral Studies and The Endowment for Basic Sciences at an innovative diversity dialogue event featuring EMMY award-winning actor and diversity trainer Ron Jones. Ron Jones is the executive director of Dialogues on Diversity (DOD), a theatre company that uses theatrical models to make messages of difference, inclusion, and social justice accessible, engaging, and entertaining. 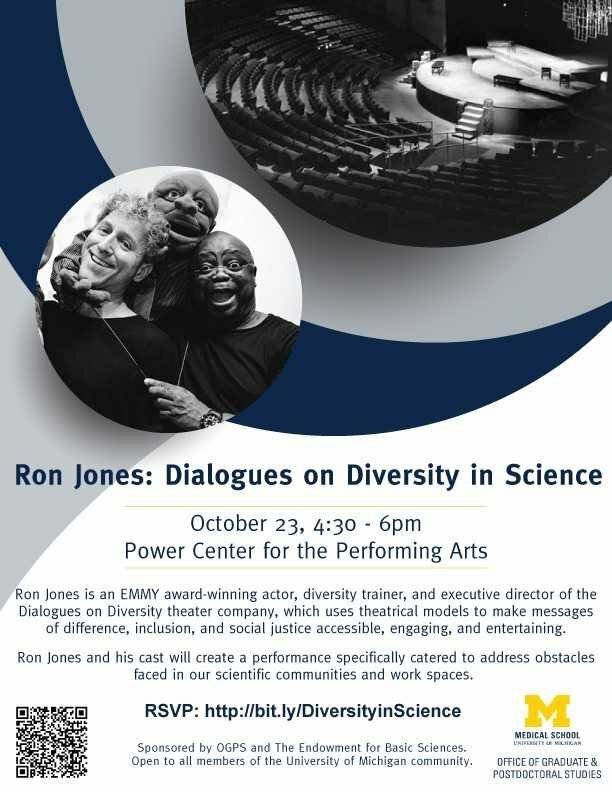 At this event, Ron Jones and his cast will create a performance specifically catered to address obstacles faced in our scientific communities and workspaces.